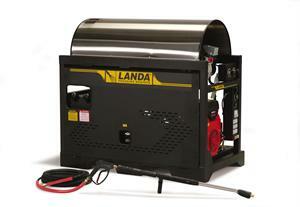 Powered by an industrial-duty Honda gasoline or Kubota diesel engine, Landa's SLX and SLT hot water pressure washers are as powerful as they come. The SLX delivers up to 9.5 GPM of hot 200°F water and up to 2,500 PSI. It has enough hot water flow to operate multiple guns, allowing operators to quickly clean even the biggest jobs. The SLX also has an extra large capacity 30-gallon diesel and 16-gallon gasoline steel fuel tanks (diesel model has a single 40-gallon fuel tank). 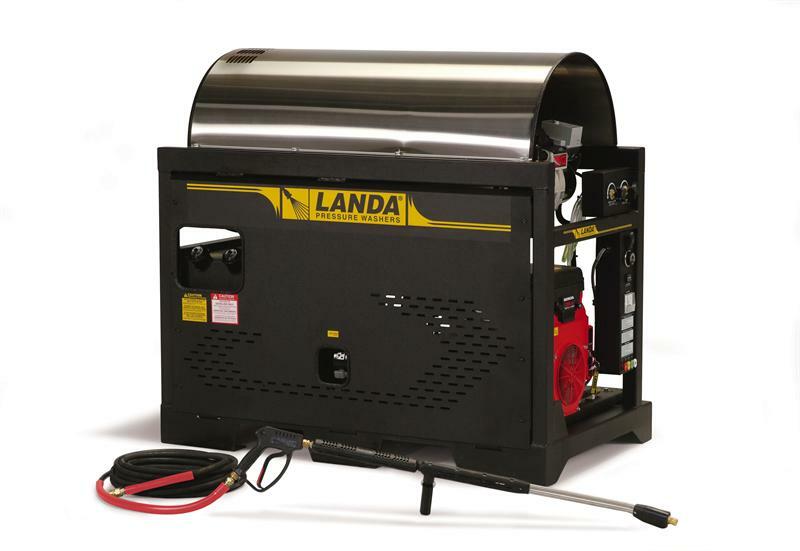 The SLT delivers up to 7.8 GPM and 3,200 PSI of hot water cleaning and contains large 15-gallon diesel and 10-gallon gasoline tanks (26-gallon tank on diesel models).